We live in the wealthiest and most peaceful time in history. But this fact does not mean people are happier at their jobs. In many company cultures, dissatisfaction on the job seems to be the new normal. No aspect of work is above scrutiny: the benefits, the management style, the compensation, or even the commute. Negativity feeds on negativity. As a society, both online and in workplaces, there seems to be a culture of professional dissatisfaction and cynicism. Is anyone happy with their job? But what if, instead of complaining, you to took the opportunity to flip the script? If you play your cards right, a good attitude can be the key to standing out and achieving success in your workplace. While there’s a basic human right to work, there’s no right to having a great and satisfying job. That part depends on your tactfulness and work ethic. More specifically, it depends on your ability to make yourself valuable to your employer. In the same way that a business owner needs to sell his/her product to customers, it is your responsibility make it clear to your employer that you add value to the company. We have put together some practical steps to consider if you want to find and keep a job that brings you professional happiness. These are hard-earned tips of the trade. Not so long ago, satisfactory education meant you could point to a good 3 or 4-year diploma on your CV. Maybe even a Masters. Nowadays, you’ll need a little more. We live in a skill economy where the knowledge you learned in university could very well be outdated by graduation. You are not entitled to a great job just because you rub shoulders with the right people and tell them about your degree. Employers want to know that you can translate the knowledge you obtained into the practical skills they need to make money in the real world. To do this, you need to prove to them that you can learn quickly and take your education into your own hands. Find out what skills you need to be extremely useful, and keep learning them. Don’t just read blogs, make it a point to finish top-of-the-industry books. Don’t just dabble in code, take initiative and tap into the myriad coding resources online and teach yourself. Google analytics? Consider completing online training and returning to help the marketing team fill in the gaps. There are no words more satisfying to an employer in need of a solution than “Oh – I know how to do that.” The employee who has a lot of diverse skills is the one who makes him/herself invaluable. Conclusion: If you continuously show an ability as a self-starter to learn and evolve to fill needs, smart employers will do all that they can to keep your talent on their team. It pays to anticipate problems and their solutions. Those who sheepishly wait for someone to tell them what to do will have a hard time standing out from the crowd. As luck would have it, employees who go out of their way to find new and innovative ways to be productive tend also to be happier. Be the employee who takes initiative. Exceed your job responsibilities. Impress somebody. If you’re not happy with what you’re doing or desire a change or promotion, instead of wishing, take action. Focus your energy on learning whatever skills you need to fit in that position and tell your employer when you’re ready for that change. Conclusion: You will find greater happiness in your work if you re-write the parameters of your job description to take on new responsibilities, learn new skills, and make yourself more useful. Problem-solving is a skillset that can be learned. Employers pay top dollar to consultants to provide solutions to often-basic problems. Once the problem is out in the open, get to work. Don’t spend time treating the symptoms when you can address the root cause. Ask questions. The hero isn’t always the person with the best idea. Sometimes it’s the person who knew the right questions to ask. We’re a team at Mobile Jazz, in it together. To become a leader, you have to start by taking responsibility first. Someone that is proactive, anticipates problems and conflicts, and provides solutions will become a natural leader. Other people will start following your lead and come to you for help and advice. Lead by example in your current role so that you’re prepared for management long before such an offer comes to you. As a leader, it is important to look after the worries and performance of your peers. If you concern yourself with their job contentment and push them slightly when needed, you are well on your way to a management style that helps others to thrive. Being a leader is not about getting to boss others around. The best leaders create value by launching coworkers into positions of leadership, and standing by them as they learn how to lead. Enjoy watching others thrive and offer your support where you can. Conclusion: To be a leader, notice and take responsibility for problems (before they get out of hand!) and work with your team to fix them. Your superiors know what leadership looks like from their own experience and will know who to select when filling a leadership position. When making decisions, don’t just choose the option that benefits you the most. Make the decision that will serve the company as a whole, with the long-term in mind. If everyone only pursues their own egoistic interests, the whole team will lose. When the team succeeds, everyone succeeds—including you. As an entrepreneur, it is equally important to look at the horizon and anticipate the future. Develop business awareness and act with the big picture in mind. If you are thinking like an entrepreneur, you will be able to present a turn-key solution when others are just beginning to realize there is a problem. Focus on the things that matter. Sometimes we waste so much time on little things that we forget to look with perspective to understand what really has an effect and what doesn’t matter. In fact, most things that appear urgent are hardly ever important. Conclusion: Treat the company you work for as if it were your own business. Your bosses will appreciate it and give you the responsibilities and leadership roles you’ve earned. Use your best intentions and most diplomatic abilities to bring satisfaction to your customers and colleagues. Treat people as if you assume the best in everyone, even if you know there is something fishy going on. Understand office politics but never become a politician. Disagreements are inevitable, but how you handle those disagreements speaks volumes about your character and ability to work collaboratively with others. Learn to see past others’ ideas and their arguments. Often, conflict stems from something deeper than trying to prove one’s idea is better than that of someone else. Listen to understand: focus especially on trying to silently understand the real cause of why people are getting defensive. When possible, strive for collaboration instead of competition. Humans are sometimes a very delicate species to deal with, especially when someone feels attacked and it all becomes a matter of personal pride. When you have an argument with someone, concentrate on the pragmatics of the issue at hand. Don’t let pride motivate your argument. It is far better to just admit you’re wrong (once you’ve realized it) and focus on the solution. Other people will appreciate that you can look beyond your own pride and take rational decisions, rather than emotional ones. Conclusion: You can’t always avoid office politics; working with other humans is a skill that needs to be learned through observation and experience. Always stay focused on a pragmatic solution rather than being defensive and prideful about your ideas. A big part of work is just operations: managing, organizing, and prioritizing work. Master the simple hallmarks of working, i.e. communication and organization. Learn how to do these things well and you will excel. Organization doesn’t have to mean everything is color-coded and tidy. Good organization is the art of prioritization and healthy self-management. It means you keep a clear calendar of events, deadlines, and meetings so that procrastination and lateness are seldom something you even must worry about. To stay organized, you must know your own responsibilities and keep clear goals in front of you. Whatever it is, both you and your company will benefit from it. Above all, be considerate of others in the workplace. Each of us has our own deadlines, home-related stresses, and high professional ambitions. 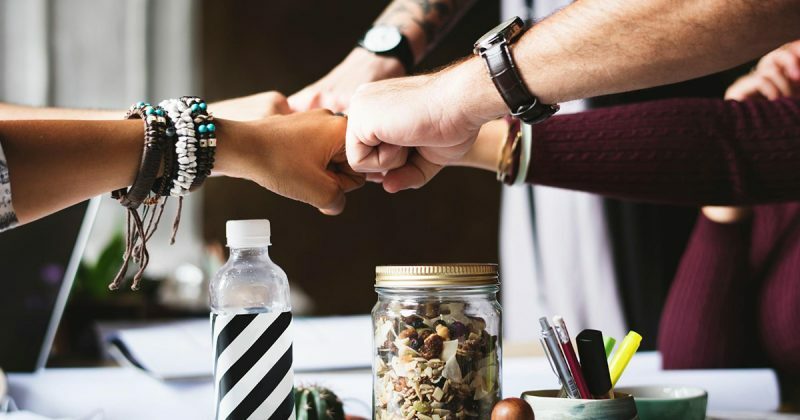 Recognizing the humanity of your boss, colleagues, and customers is a sure way to not only make your own job better, but make the entire office a more enjoyable place for everyone. Mobile Jazz is a small, remote devshop that strives to have a culture that reflects the values listed above. You can work from anywhere in the world and enjoy company retreats in places like Thailand, South Africa, Bali, and the Alps. You don’t even need a university degree to make an impression. We’re actively looking for people that add value and show initiative. We welcome you to consider joining us: https://mobilejazz.com/jobs.